U185lbs Gwyn Barry 3.0.0. (Gym 01) vs Eloge Bofale Imbula2.0.0. 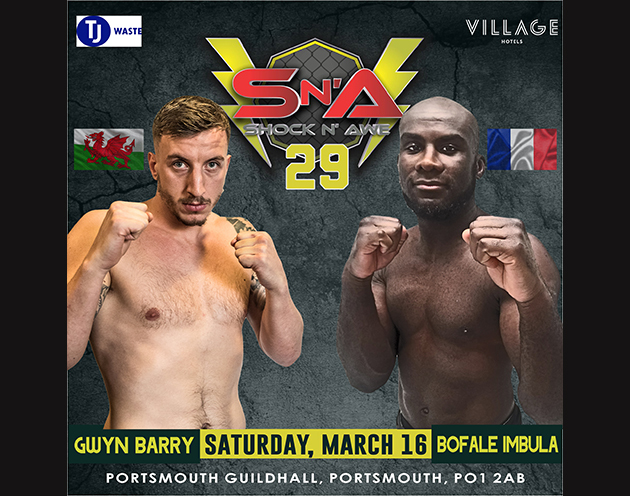 The big boys are set to clash on March 16th when undefeated middleweights Gwyn Barry 3.0.0. and Eloge Bofale Imbula 2.0.0. take centre stage at Shock n Awe 29. French striking specialist Eloge Bofale has his sights on stopping Gwyn Barry from extending his unbeaten start to his pro career and silencing the home fans at the same time. 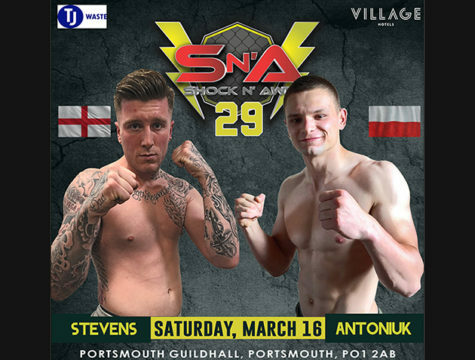 This formidable Frenchman is no stranger to being the bad guy having already fought on UK events BCMMA and Killacam fight night. Also undefeated at pro, his refreshing Karate movement has made it difficult for previous opponents to be able to stop him imposing his will and taking the precious wins. So in steps Welshman Gwyn Barry with the tough task of trying to solve the riddle Eloge Bofale poses. It’s been a meteoric rise for Gwyn who is riding a four fight win streak that includes four stoppages. 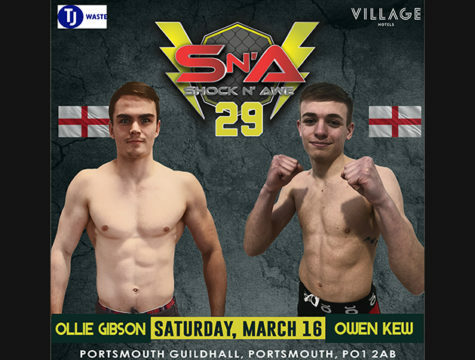 With a little more than 18 months training he has made incredible improvements in every fight and now he feels it’s time to take on the tougher challenges out there. It’s a cliché but come fight night someone’s ”0” has to go.